Every year, the Extra-Life charity does a 24 hour gaming marathon to raise money for the Children’s Miracle Network Hospitals. Extra-Life started back in 2008, as a way for the Sarcastic Gamer Community to raise money for the Children’s Hospital in Texas (in Memory of a young lady named Victoria, who lost her battle with Cancer in early 2008). Since then Extra-Life has grown and expanded to having thousands of gamers raising money for pretty much any local Hospital that is part of the Children’s Miracle Network. Late last year, my daughter was diagnosed with a fairly rare neurological condition (well, technically, two conditions together). After numerous visits with our Pediatrician for an assortment of ‘oddities’ (including her tongue starting to atrophy), we were referred to a Neurologist at our local Children’s Hospital. After the initial examination, she diagnosed our daughter as having a Chiari Defect, and sent us off for MRIs, and scheduled a visit with the Neurosurgeon (we actually ended up seeing the Chief of Neurosurgery). 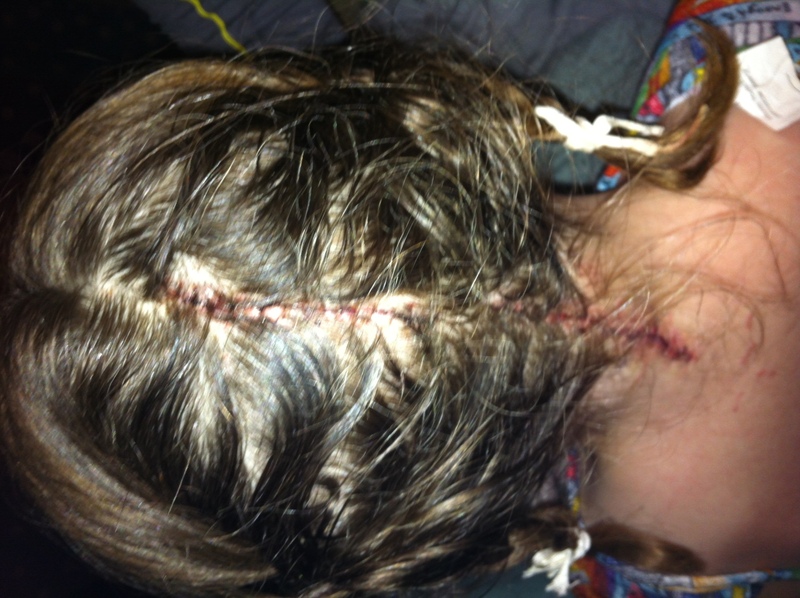 The Neurosurgeon met with us after getting the MRI results back, and, we found out that in addition to the Chiari Defect, our daughter also had syringomyelia (build up of spinal fluid in pockets along the cord). Either condition on its own wasn’t bad enough to need surgery at the time (kids with Chiari Defects can eventually end up having headaches so painful, they can’t do anything except sit there and scream in pain. Along with other nerve related issues). Put together, and it was something that needed to be addressed quickly. For other hospitals, the combination of causes, combined with the age of my daughter at the time, would have made this an uncommon procedure for the Surgeon (They have to go in through the neck muscles, cut the skull open, and other messy, scary things). Remember how I mentioned that we happened to get assigned to the Chief of Neurosurgery? Turns out, he’s the guy who separated a pair of conjoined twins from Guatemala back in 2009. Not a bad thing to have on the resume of the surgeon about to operate on your daughter. In February of this year, my daughter had brain surgery to fix the Chiari Defect, and relieve pressure on the cord, so the syringomyelia would go away. After several hours in the OR, she was moved to Pediatric ICU to start her recovery. We spent two nights in PICU, before getting moved to a ‘regular’ recovery room. The nurses in both the PICU, and the ‘regular’ floor, were amazing. They were friendly, talked to our daughter in language she’d understand, helped address her fears, and keep her calm. We even had a nurse that had a Chiari defect himself! Talk about being able to relate to your patient! In less then a week, we were ready to be discharged…and, to illustrate how great everyone at the hospital was… my daughter cried when she found out it was time to leave. Now, a little more than 6 months after her surgery, we’ve been in for all our followups visits, and MRIs, and given a clean bill of health. No further signs of pressure, the spinal fluid has gone down to normal levels. A bit of Physical Therapy, and she’s now just a fearless ball of energy when she’s playing. Because of the great level of care we received, I’m joining MOG Nation to participate in Extra-Life this year, to raise money for the Hospital that helped my Daughter so much. I’m seeking donations/pledges to help out. If you’re interested in donating to Children’s (and, making me play games for 24 hours), please follow this link to my donation page over at extra-life.com. Donations are tax deductible, so please, give if you can.